I’m a big believer in doing independent investment research. But I also believe that it’s never a bad idea to look over the shoulder of some of the best investors in the business for ideas. We shouldn’t blindly copy every trading move of a Warren Buffett or a Carl Icahn. But you never know when you might find a stock that is a perfect fit for your investment strategy in the portfolio of a great money master. This week, the guru ETF space saw a new competitor step into the ring: Global X Guru Activist (NASDAQ:ACTX). Activist investors are the heroes of the investment world…or at least that is how they see themselves. (Managements of the companies they target are more likely to view them as villains…) Activist investors seek to shake up companies they view as complacent or inefficient by accumulating large positions, forcing their way onto company boards and then forcing major changes. Some of their common tricks of the trade include ousting management (or separating CEO and Chairman positions to make the board more independent), making a major acquisition or spinoff, or making a major shift in dividend or share buyback policy. 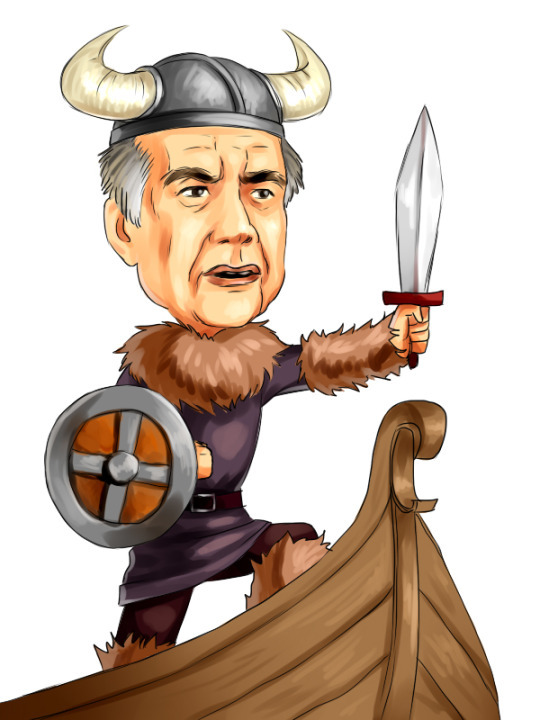 Perhaps the best recent examples have been the efforts of veteran activist Carl Icahn to force eBay Inc (NASDAQ:EBAY) to spin off its Paypal unit and his relentless prodding of Apple Inc. (NASDAQ:AAPL) to aggressively buy back its shares. So, what is the story with the activist investor ETF? Global X bases its holdings on the Solactive Guru Activist Index, which goes through the following selection process. First, they narrow the field to the 50 largest activist investors in the United States. These would include the usual suspects, such as Icahn, Bill Ackman, Daniel Loeb, Nelson Peltz and others. Next, they mine the 13F and 13D filings of the activists to build a superlist of all long stock positions ranked by dollar amount invested. And finally, they narrow the list to the 50 largest positions and weight equally across the portfolio, rebalancing quarterly. There are a couple points to note. First, this ETF will tend to overweight the activist investors with the highest assets under management. For example, by virtue of having $32 billion under management, Carl Icahn will carry twice the weight of Bill Ackman, who has $16 billion under management. This means that a middling portfolio pick by Icahn will carry the same weight as a high-conviction pick by Ackman. And certainly, this will be even more pronounced for the smaller, lesser-known activists further down the list. Secondly, it will also tend to have a large-cap bias for essentially the same reasons. Because the activist investor ETF ranks the top 50 by dollars investing, you’re going to see a lot of mega-cap stocks like Apple and eBay making the list. You can check out the full list of holdings here, and I guarantee you will recognize the vast majority of the names. So while ACTX does indeed give you access to the biggest bets of the hedge-fund masters of the universe, don’t expect to uncover any hidden gems. Apple and eBay make the list, of course, as does tech rival Microsoft Corporation (NASDAQ:MSFT). Two other holdings I particularly like–and own personally–are Williams Companies Inc (NYSE:WMB) and McDonald’s Corporation (NYSE:MCD). All in all, ACTX is another solid addition to the growing number of guru-following ETFs.